for $569,900 with 5 bedrooms and 2 full baths, 1 half bath. This 2,603 square foot home was built in 1926 on a lot size of 0.17 Acre(s). 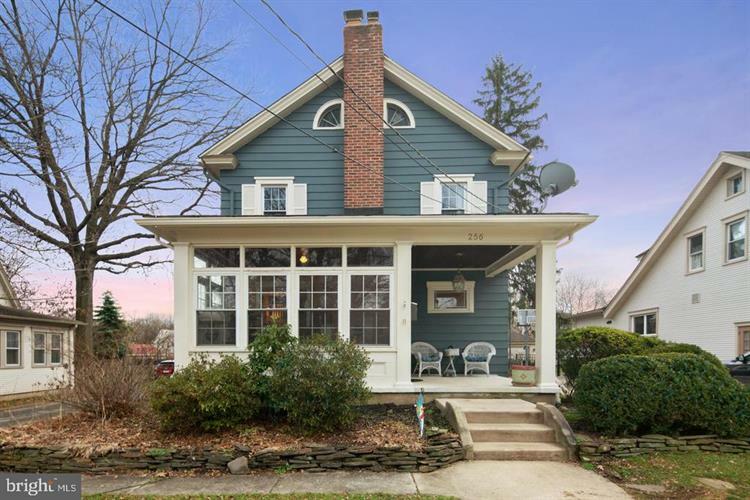 Great opportunity right in the heart of Haddonfield! Close proximity to award-winning schools, playgrounds, downtown shops and restaurants. Just 4 blocks to the downtown area and only 3 blocks to the train to Philadelphia. Welcoming front patio greets you and enclosed front room lets in tons of natural light. Large living room with fireplace and brick mantel, original hardwood floors with walnut inlay and high ceilings. Enormous kitchen is great for the discerning cook. Amazing room for entertaining as the island is large with seating, storage and plenty of space for conversation. The addition boasts a great newer kitchen with an open area for a den or large breakfast spot. Stainless appliances, granite counters and tons of work space will impress you. Head out from the kitchen to the fenced backyard too! First floor also has a great nook for an office space, reading nook or play area. Large bedrooms on the second floor with full, hall bath. Master suite includes a full bath and walk-in closet. Lots of space for a sitting area too. Third floor includes 2 more bedrooms- one currently used as a guest room and one as a play area/den. Basement is great for storage, laundry, boasts upgraded electric and waterproofing. Could be finished for a playroom! 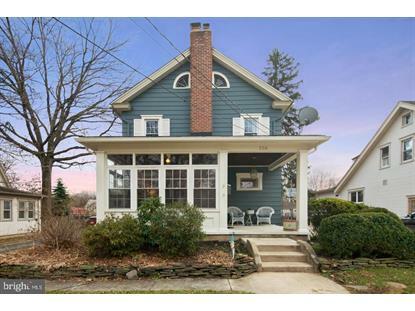 Great opportunity in the heart of the town with immediate access with everything Haddonfield has to offer.